When will be Max and Ruby next episode air date? Is Max and Ruby renewed or cancelled? Where to countdown Max and Ruby air dates? Is Max and Ruby worth watching? 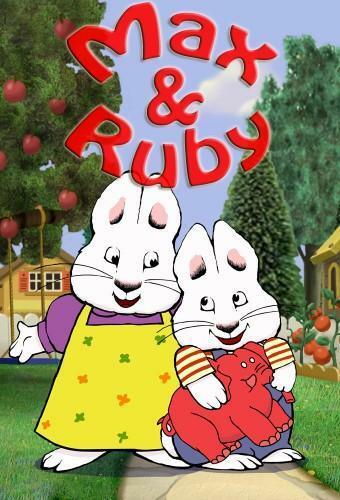 Max & Ruby is a half-hour animated comedy series based on the children's books by Rosemary Wells. Each episode centers on Max, a determined three-year-old bunny, and his big sister, Ruby, a smart, goal-oriented seven-year-old. The show offers an empowering message for children by showing Max and Ruby playing together and resolving their differences in ways that are respectful and supportive. Max - Max is a three-year-old cheerful bunny boy who knows what he wants and won't give up until he gets it. He loves to get dirty and play with anything slimy, mucky, or sticky. Ruby - Ruby is Max's older sister and this second-grader loves to show her little brother how to do things. She's an avid Bunny Scout and spends time with her friends Louise and Valerie playing with their dollies. Luise - Louise is Ruby's best friend, classmate, and fellow Bunny Scout. She loves playing dress-up games with Ruby or working together to earn a Bunny Scout merit badge. EpisoDate.com is your TV show guide to Countdown Max and Ruby Episode Air Dates and to stay in touch with Max and Ruby next episode Air Date and your others favorite TV Shows. Add the shows you like to a "Watchlist" and let the site take it from there.